Valentine ’s Day is for everyone, it’s not just for couple’s out there who wants to date, it is supposedly for all people to experience love that’s why its symbol is a heart. Let’s not turn this day into an anti-valentine’s day for those who don’t have a partner, let them experience love through hearts. There are dozens of heart ideas you can find on the internet and you can even do it yourself, it’s simple and cute and I'm sure the people will be given too will be delighted. You can actually make a heart cake but that can be taking a lot of work. 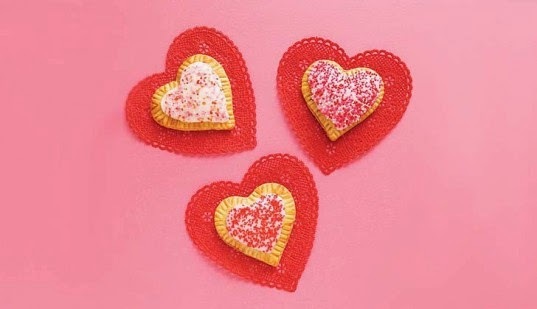 How about making a heart cookie, dip it in chocolate and infuse your own design and captions. If it’s still too much for you and if you are good at sewing, make a Valentine’s treat bag and fill it with candies and chocolates. If your friends wants some booze you can even make a valentines box gift package for it and be their drinking buddy. Or try infusing hearts on your salad and soups by making a heart shape carrots or let them have a hearty breakfast by making a heart shaped fried eggs. You can even make a valentine’s gift for your cat by making them a stuffed heart out of your old socks. That’s just a few but I know you are having your own idea right now out of this.